This is a place for me to collect my thoughts, experiences and log my language learning. I do have a tendency to spend more time planning the optimal method than actually studying but I make effort to live by the quote above. Last edited by Stefan on Thu Jun 21, 2018 10:18 pm, edited 13 times in total. Last edited by Stefan on Tue Jul 17, 2018 12:17 pm, edited 35 times in total. Overall I think it's a good show for beginners. You get a good amount of phrases, listening comprehension and in each episode you have a few minutes of native documentaries so you can get a feel of the language even though you don't understand everything. There are language books complementing the show such as a coursebook + audio, workbook, study guide and transcripts. I considered getting these used ($40) but I already got FSI and should be doing native material, not continuing with yet another course. I took the time to write down some useful vocabulary that I either didn't know or just wanted to incorporate into my active vocabulary. Feel free to correct me if something isn't right. I mostly used Linguee as a guide but sometimes stumbled upon similar words such as Etage vs Stock. die Etage, die Etagen - storey??? Last edited by Stefan on Mon Aug 29, 2016 10:11 am, edited 2 times in total. Stumbled upon this miniseries from Goethe-Institut, available here. 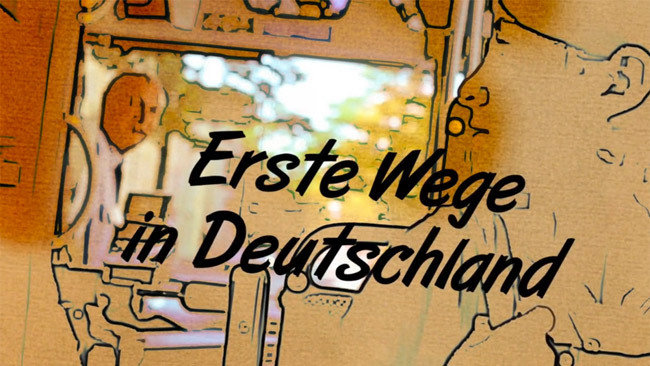 The story is about Nevin, a young girl from Turkey who recently moved to Germany. You follow her on the first bus ride, work day, doctor visit and apartment looking. In total it's 60 minutes divided into eight 7.5 minute episodes. It was made in 2014 so the video and audio quality is terrific but the story is bad. There's very little dialog and she's over awkward with a lot of giggling while having extreme difficulties reading simple words or understanding how huckster's work. It feels partly like a introduction to society and not only a language course. It contains some useful vocabulary so it isn't all bad but I really wouldn't recommend it. 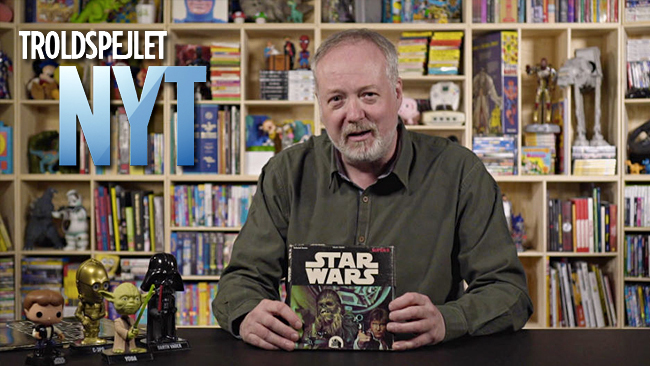 Troldspejlet (1989-) is a Danish TV show reviewing games and movies. 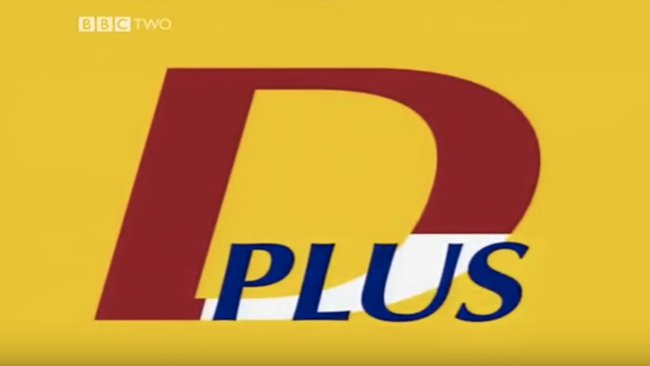 To my knowledge, it was the only show (available in Sweden) that was doing this pre internet so it's a lot of nostalgia even though I had serious problems with the language as a kid. The format has changed a bit and now you basically got two shows; Troldspejljet and Troldspejlet Nyt. The first one is subtitled in-depth 25 min episodes where they focus on one topic. It could be everything there is to know about the WoW history or Studio Ghibli. The second one is shorter 3 (±1) min videos uploaded to YouTube in which you just see a few sequences from a game and get their views on it. It's a nice way to keep up to date since I don't play video games (besides EU & Fifa) and it's short so you never get bored. Since I'm interested in video and photography, it's also really nice to see some behind the scenes on their Instagram. You can see their studio, the green screen setup and video editing. It gives you an insight in how simple the equipment is but also a reminder of the competition when every kid can copy it in their own bedroom. As a result, there were rumours about cancelling the show but they ended up with this new format instead. Danish and Swedish share a lot of similarities but we tend to do everything in our own way. You say våbenhvile, we say vapenvila. You say løber, we say löper. Then there are false friends such as betjent (police officer / servant) and rolig (calm / funny). I still recall reading a football comic (Buster), in which a Swede got into a fight because a Dane told him "tage det roligt" after spilling a drink on him. I don't have any plans on studying Danish seriously but for future reference, I found the course literature for two courses (NS1131 & NS1132) at University of Gothenburg. Once you've completed it, you're suposed to be able to read books and discuss texts without difficulty. Last edited by Stefan on Tue Oct 18, 2016 7:35 pm, edited 1 time in total. 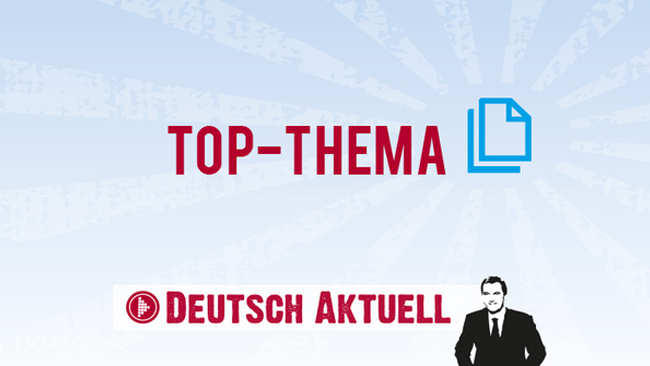 Top-Thema is a podcast from DW with two new episodes every week. Each episode include a 300 word long text, a 3 minute long recording in fairly slow tempo, vocabulary and a short test. The topic is usually about current news or German society. For example, one text is about Boris Becker's biggest win and another is about a massive coal mine between Aachen and Köln. Especially refugees and climate seem to be recurring themes. DW got another similar podcast named Langsam gesprochene Nachrichten (B2-C1) which I used to follow. Each episode was 600 words, 7-10 minutes long (depending on speed), 6 days a week and only mentioning the daily news. Back then it felt like a lot of work to keep up. I'm sure B1 vs B2-C1 was part of it even though I didn't reflect over it. Eventually I'm sure I'll pick it up again but until then, Top-Thema is more interesting. It took time to write down individual words and you basically had to do it every time for the same word until your learned it. I then stumbled upon Learning with Texts (LWT) which solved both of these problems. Now I could look up words just by clicking on them and once a translation was saved, it would show for the word whenever I hover the mouse. The idea behind LWT is simple. In the screenshot above I've marked Staubfinger as ignore because it's a name and not a word. New words in a text are blue (not visible in the screenshot). Once you translate them they become red (doch & beleidigt). The green words are marked as well-known and I know them without hesitation. LWT also got a feature to grade words 1-5 which makes them yellow and orange. It makes sense since you can do tests within LWT and export them into Anki but in my view it's too much work and therefore they stay red (1) until I know them and then I mark them as well-known. Finding the correct translation can be a bit tricky so I'm using 3 different dictionaries for German; Glosbe, Google Translate and Linguee. If I'm completely lost in a sentence, I first use Google to translate the whole sentence and see what's going on. Then I use Glosbe which is a regular dictionary and can handle most common words. If it can't handle it, for example when two words are combined into a new one, then I continue to Google Translate which only offers one result. Sometimes I jump between them to make sure that they both give the result I'm expecting. If I'm still not sure, I use Linguee where you can figure out the meaning from a bunch of examples. 1) Begin with something simple and then gradually increase difficulty. I'm the kind of person who can complete a book in my native language within 1-2 days so spending hour after hour translating every single word in a difficult text really kills my interest. You rarely account for difficulty so by picking something easier you'll move forward quicker and get a sensation of progress. 2) Pick something short. I'm intrigued by the story in Tintenherz but I'm not sure if it's well-suited for a beginner using LWT. I just completed chapter 17 consisting of almost 6000 words according to WordCounter. To complete it in one sitting while translating the words is a bit of a daunting task and I would recommend a book with shorter chapters for a beginner learning a foreign language. 3) Just let some words go. Don't spend a vast amount of time trying to figure out a single word. Let it go and realise that you'll either stumble upon the word in the future and figure out the meaning then or you'll never see the word again and then it's pointless to spend 10 minutes trying to figure out the meaning. Stay in the flow and skip impossible words. 4) Accept that LWT isn't suitable for everything. I would never dream of using LWT for Swedish, Danish, Norwegian or English because I understand 99.99% of the words and it would be a waste of time. However, I do have a list with words I know the meaning of but wish to include in my active vocabulary. Words such as morose, pondered and nay. * I'm aware that some people still prefer traditional dictionaries. Would love if someone corrected me because ARD and Das Erste seems to be one and the same. As usual when it comes to TV and movies, it's kind of a mess and Germany seems to takes it one step further. Some sites (ProSieben) block people outside of the German speaking area (D-A-CH) while others (ZDF) block all content they purchased abroad such as Beck and Arne Dahl while allowing you to watch Stralsund. Then there are time restrictions. You can only watch Tatort between 22:00 - 06:00 and more friendly shows become available after 20:00. Then episodes are removed after a couple of days so you need to keep it up if you want to follow a show. There's also a free software named MediathekView which fetches data (ARD, ZDF, Arte, 3Sat, SWR, BR, MDR, NDR, WDR, HR, RBB, ORF, SF) and combines the information into a big table. One advantage is that you can access videos outside of the restricted time but you lose the subtitles. I've tried to use it a couple of times in the past but could never figure out how to find things and now I can't even open it. This week the creator made the announcement that he will close it down at the end of the year but it's open source so people could continue the development themselves. We'll have to wait and see. ARD maintains and operates a national television network, called Das Erste ("The First") to differentiate it from ZDF, a.k.a. "das Zweite" ("The Second"), which started 1963, as a separate public TV-broadcaster.